I was given this as a present last year by a friend, who recommended it as the best she had ever used. I was sceptical at first as I had not really heard of the brand before, but now I am in love, by far the best clear mascara on the market, and for a bargain price too. I cant get enough of it. It is a must for all us girls. 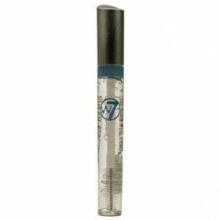 Click the button below to add the W7 Clear Mascara to your wish list.